Chester College of New England is college located in Chester, NH. Chester College was founded on the idea that an education doesn't have to be typical. It's a simple idea, but one that has allowed us to build a place for our students where they can thrive. Chester students aren't waiting to get their degree so that they can start life. They're living now. Our campus is alive with their creative spirit and ingenuity. They all share one unifying characteristic: they aren't pursuing a higher education to become "the expected." After all, artistic venues and mediums keep changing and keep expanding. Our students aren't just learning software and rules, but problem-solving and adaptability. They are truly artists, writers and thinkers with creative minds searching to expand their knowledge and further develop their artistic talents. Our job is to keep educating them for this world as it exists today, not based upon past conventions. This is the heart of our inception and will forever be our goal, inspiring a different kind of mind. Nestled in beautiful and historic Chester, New Hampshire, Chester College of New England offers our students a place to learn in a unique, creative environment to reach their true potential. In this inspiring living and learning environment, our students will have the opportunity to be creative and learn from a gifted, dedicated and creative faculty. 90% of students graduated on time. 96% of students graduated in six years. 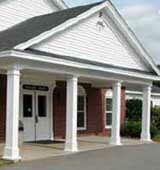 Want more info about Chester College of New England? Get free advice from education experts and Noodle community members.